Coaster Night Stand Nacey CO201962. Crafted from select hardwoods and veneers the Nacey night stand features modern lines that create a unique and appealing look. 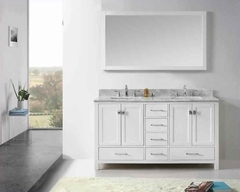 Drawers feature dovetail construction and smooth metal side glides to create ease when drawers open and close. Each piece is finished in a stained black-brown to allow the natural look of the wood grain to still appear. 1 x Night Stand CO201962. 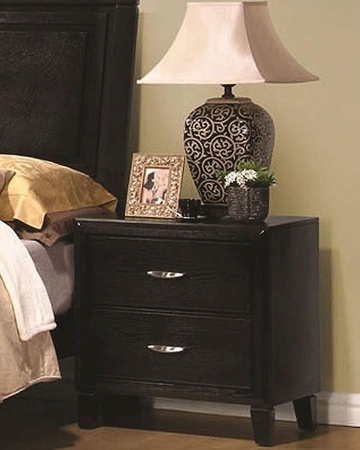 Night Stand– 23.75"W x 16.5"D x 25.25"H.
Brushed nickel finished metal hardware generates a modern look. Metal glides featured on drawers creates a smooth open and close process. Constructed of metal side drawer glides for easy opening and closing.